Google has spread their magic once again with their latest innovation- Google Play. Google Play is a cloud-based service which combines Android Market, Google eBookstore and Google Music into one easy to use app. Google calls their latest breakthrough: “a digital entertainment destination where you can find, enjoy and share your favourite music, movies, books and apps on the web and on your Android phone or tablet”. What Does Google Play Do? The full Google Play offering will only be available in the US. 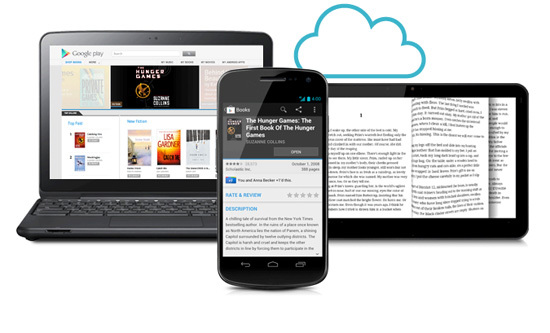 Google Play will offer movies, books and Android apps in the U.K. and Canada. In South Africa only the Apps and Games are available, however Movies, Music and Books sadly won’t be. Everywhere else, Google Play will be the new home for Android apps. Google says that Google Play should ensure “your favourite music, books, movies, apps, and games are all in one place that’s accessible from the Web and any Android device”. Google Highlights the fact you can now purchase books on your phone and read them on the web-based Play Store, or you can rent a movie through the site and have it sent directly to your phone. This technology is nothing new but the fact that it is free and easy to use is awesome. The only time when you will encounter costs is when you want to make a purchase. One of the really cool things about Google Play is that its not only for Android users, in fact the sites Books and Video categories are fully functional on your desktop and allow you to access the content online. Google has taken things one step further by creating a Google Play Books App for IOS which will also allow Apple users to enjoy this experience. There is also an “All” tab within your downloaded apps page, which allows you to keep track of every single app you’ve ever downloaded. It even keeps track of the ones you have deleted. The Google Play app also lets you sort user reviews. These reviews show the exact model of Android phone used by the reviewer so you can identify the problem easily if they complain that an app doesn’t work very well on their T-Mobile Pulse. Can anybody tell us why Movies, Books, and more importantly the Music portion of this won’t be available to the South African market? The reason these portions of Google Play won’t be available in South Africa is because of the copywriting laws. What about our copy write laws prohibits this? I think it will be a while before Google can reach agreements with publishers to release the content locally. The Google Play site does state that they are working to achieve this, but one can only hope it happens soon. So basically: screw south africa, their a bunch of …. That about right? I had to comment on what you said about South Africa, I did a little experiment in which I bypassed the lock by using a trial VPN account. I must say if something like this had to come to South Africa I would definitely use it. The movies are for rent, or purchase. The music gets stored in a media player which even through VPN buffered VERY quickly, good quality too. And they have hundreds of books. If they actually made this content available then people wouldn’t be running around behind torrents downloading movies and music. At $1.20 for a new track, is a bargain. At $1.50 for a movie rental, serious . . .